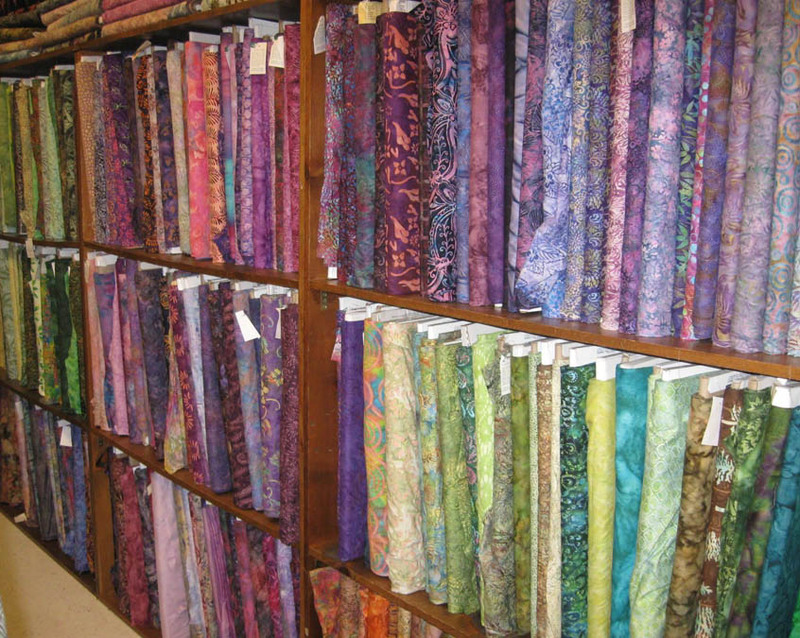 A long-standing quilt shop in Franklin, Tennessee, is Stitchers Garden. This shop offers anything a quilter could want... and lots of it. 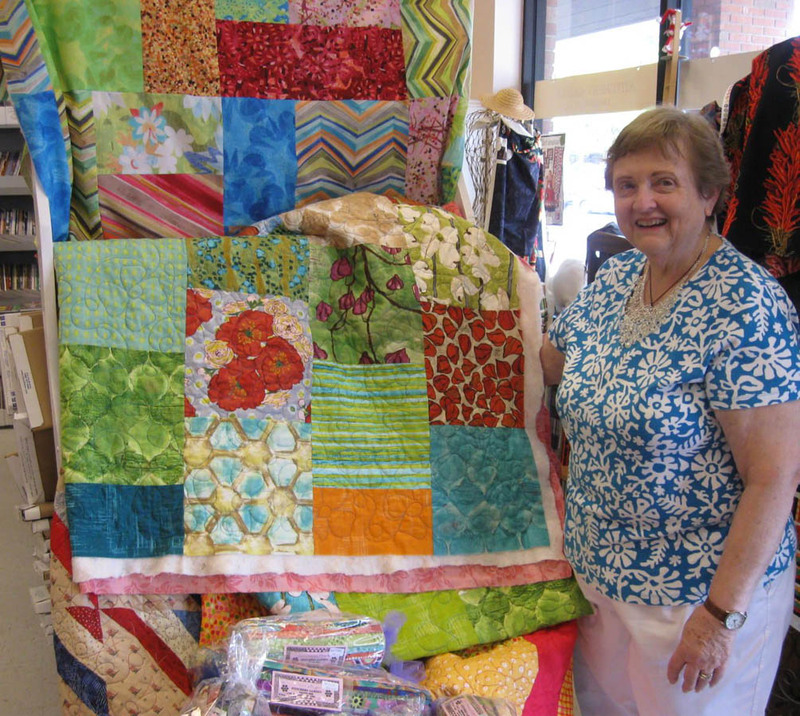 Myra Nickolaus with her 10-inch Quilt. With 24+ years of experience, Myra, the owner, has a solid foundation in quilting as well as sewing and has seen trends come and go. She is a wealth of knowledge. Her staff is trying to persuade her to make YouTube videos on various tips and quick techniques, so she can share her expertise with a broader audience. Here she is with her own design, the "10 inch Quilt," that utilizes pre-packaged collections of 10-inch fabric squares. 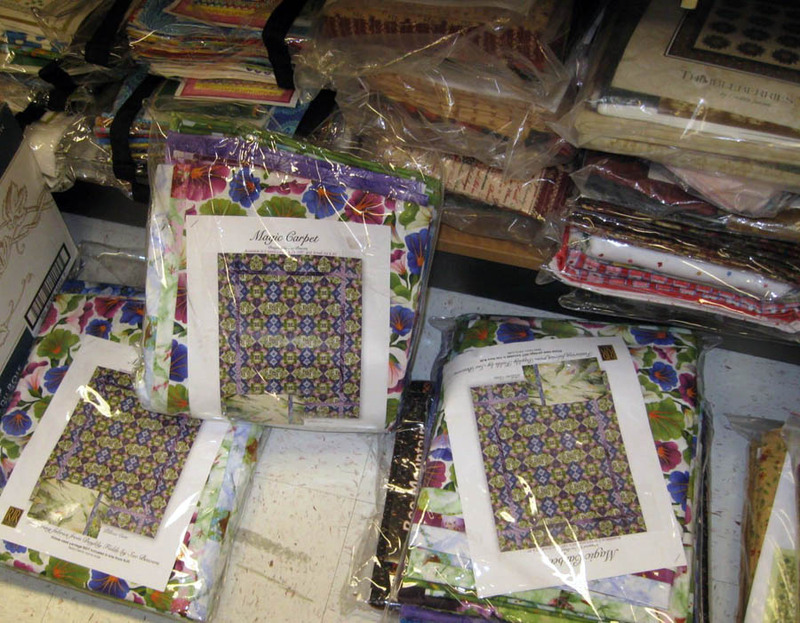 Pick up a coordinated collection or choose your own fabrics and you can whip up this bed-size quilt in no time. 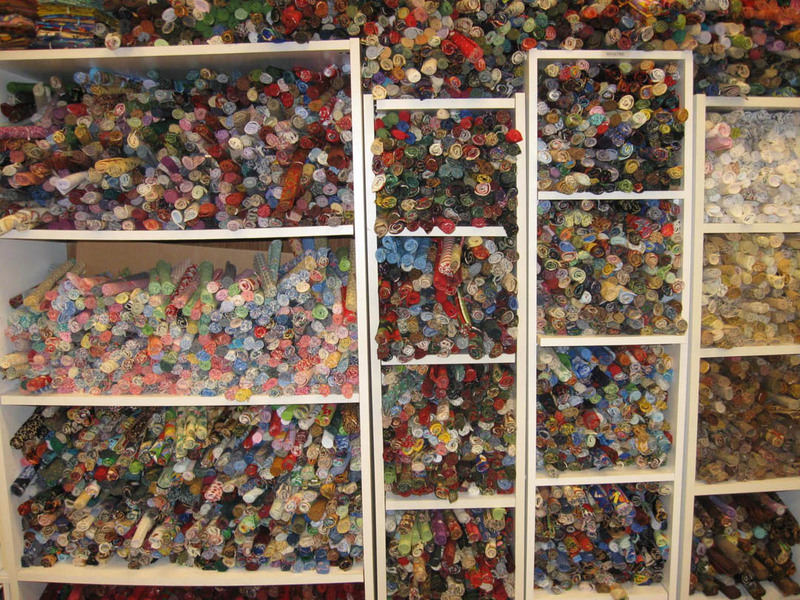 Ask Myra for the pattern. When I told my husband I would be visiting Stitchers Garden in Franklin, he said, "Oh, we've been there before!" Indeed he was correct. 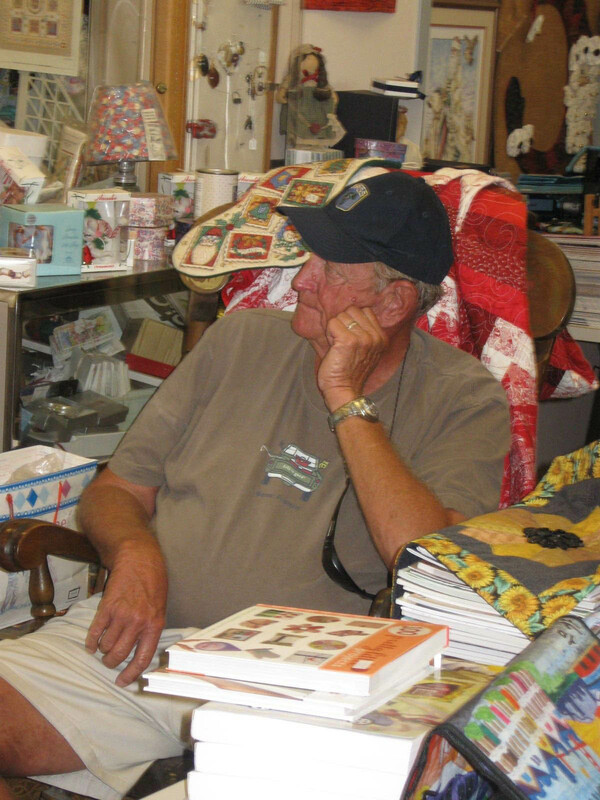 He helped pick out Fat Quarters for a project I was working on at the time. And speaking of Fat Quarters, this shop has 'em! By color, by theme, 20s, 30s, reproductions, holiday, novelty, darks, mediums, lights, brights, neutrals, whites, prints and batiks, and designs from all the fabric collections you can imagine—they're here. 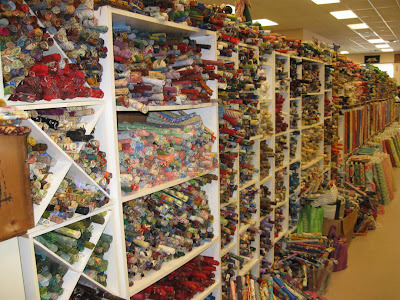 In the cubbies, on the shelves and in the baskets... take a long gander at this selection. 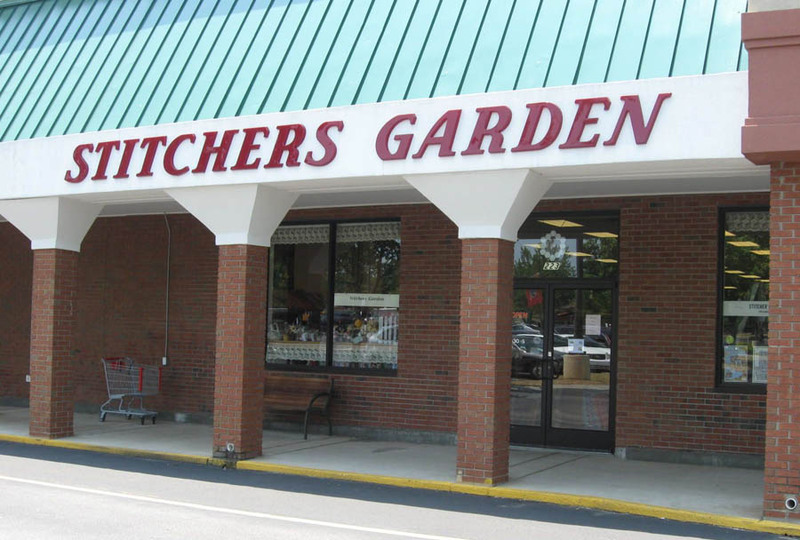 If you are looking for scrappy, or need variety, this is the place to be. 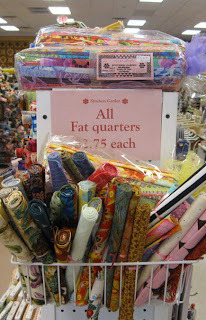 Fat Quarters in the cubbies. An aisle of Fat Quarters atop shelves of bolted fabrics. Along with the Fat Quarters, Stitchers Garden offers the full collection of Fabrications pre-cuts strips from Blank Quilting and offers their own collections of 2.5" strips, with 50 strips per package. 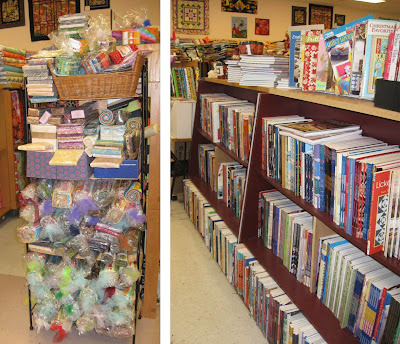 Right: a large selection of quilting, embellishing and sewing books. 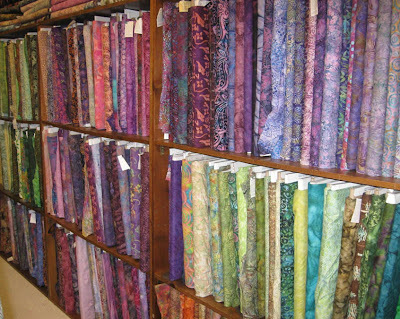 There is also a great selection of books and extensive collections of other fabrics. 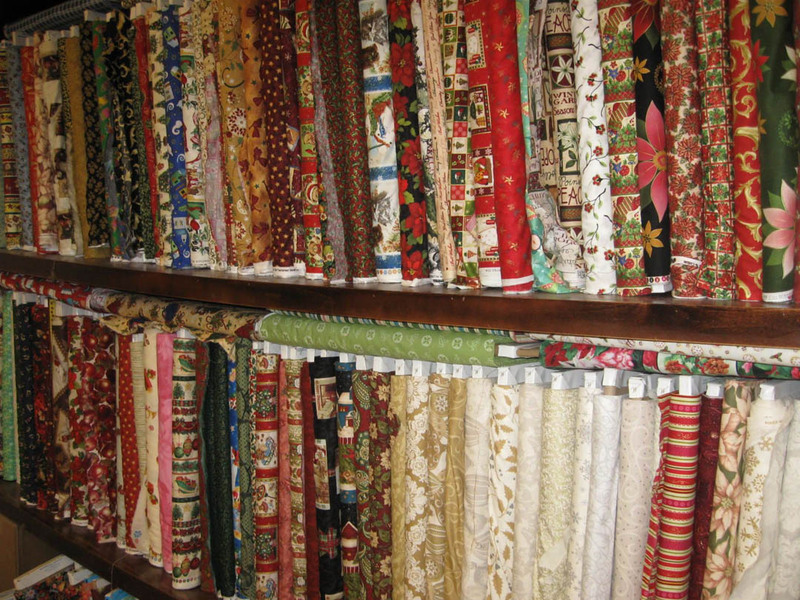 Civil war and reproduction fabrics. 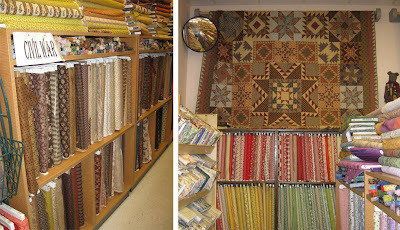 A quilt made from reproduction fabrics hangs on the wall. This was from a BOM (Block of the Month) program. ... and so many magazines that the boxes are labeled and alphabetized. 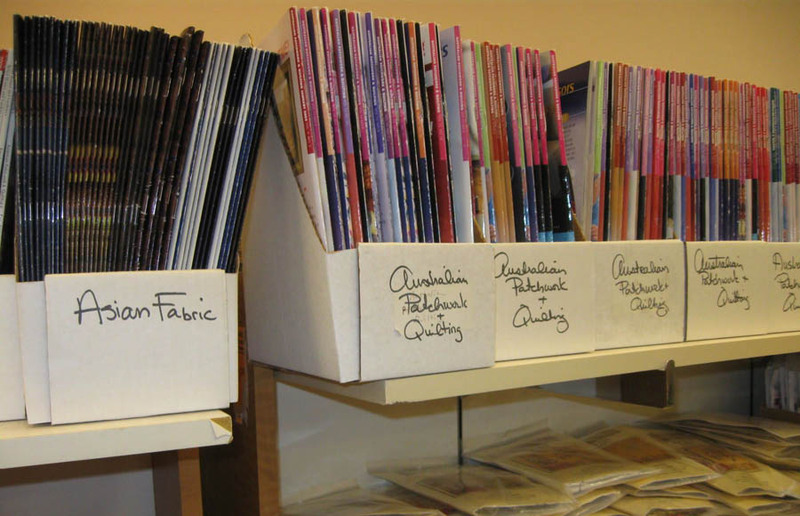 A variety of quilting magazines. 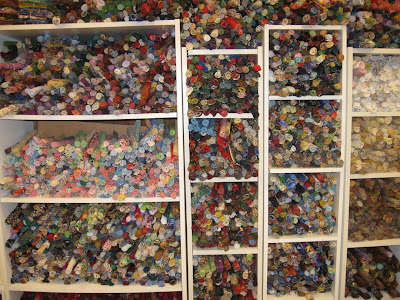 If you decide to visit Stitchers Garden (and I hope you do), budget some time to walk up and down the aisles. 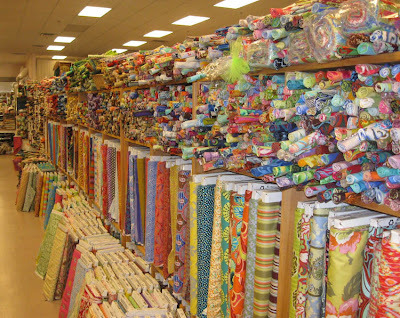 You can bring along your non-quilter husband/driver/package carrier. They have a special chair they will set up for him. The "guy chair" is occupied. Wow! I've heard of this place but never went there or seen photos. Everything I heard is true! !